Are Steam Rooms Good for Skin? 2 Are Steam Rooms Good for Skin? Because the body is constantly exposed to toxins, whether they come from chemically processed foods, preservatives, atmospheric pollution or stress, it is important to engage in a protocol that helps cleanse the organs as often as possible. A detoxifying bath helps release toxins stored in our fat cells and organs through the combination of specific ingredients that combine with heat to bring waste elements to the skin's surface, flushing them out through the pores. Additionally, a good detox bath can strengthen the immune system, improve skin texture, help with sluggish digestion, ease the pain of aches and inflammation and assist in preventing the invasion of free radicals. Because the skin absorbs helpful nutrients easily, taking a bath with nutritious ingredients is an excellent way to help detoxify the body. High in magnesium, a detox bath of Epsom salts help the body use oxygen more effectively, which is essential in eliminating toxins because they cannot survive in a highly oxygenated atmosphere. Epsom salts also contain sulfates, which assist in flushing debris out of the body while helping to absorb important nutrients for overall health. Whereas sulfates are difficult to absorb through food, they are easier to absorb through the skin. The magnesium available in an Epsom salt bath helps to deliver sulfates to the body while stimulating the pancreas to produce more enzymes for detoxifying the system. Epsom salts also help to ease stress, improve concentration, assist with muscle and nerve function, lower blood pressure and help invoke a deep, healthy sleep. Because magnesium helps the body absorb calcium, Epsom salts are efficacious in reducing inflammation in joints as well as cramping and pain in muscles. Sea salt is an antiseptic that helps eliminate excess acid from inside the cells. It is especially potent for assisting the kidneys in releasing acidity while providing the body with the approximately 80 minerals that it contains. As a cleansing and purifying element, a detox bath with sea salt helps to conduct blood to all areas of the body, stimulating oxygenation, which repels elements that are hazardous to the system. Also popularly known as sodium bicarbonate, baking soda is a highly alkaline product that can help oust poisons from the body. According to Dr Tullio Simoncini of Rome, Italy, baking soda can be used to destroy cancerous tumors because it creates an intolerable environment for toxic cells to remain alive. It also keeps the blood at a healthy pH, whereby it is able to carry more oxygen so that the body can efficiently eliminate waste. In an article in Science Daily, baking soda has been found to optimize kidney function as well as chelate the body by removing heavy metals. In a study that included 134 patients with advanced kidney problems, those who received a small amount of baking soda had much greater success in overcoming symptoms than those who were taking a placebo. Betonite clay contains more than 70 trace minerals, along with calcium, iron, magnesium, potassium, sulfur, manganese and silica. Used for hundreds of years by indigenous cultures as an internal cleanser, betonite clay is also sought out by wild animals in order to heal from injuries. The clay's capability to expand like a sponge when wet allows toxins to enter the spaces through electrical attraction. The toxins, which have a positive charge, attract to the clay's negative charge, then bind to the surface areas and are eliminated through the skin as the heat of the bath helps to bring them to the surface. According to the Canadian Journal of Microbiology, betonite clay has the capability to absorb pathogenic viruses, herbicides, pesticides and other hazardous elements, including heavy metals, that interfere with the body's health. 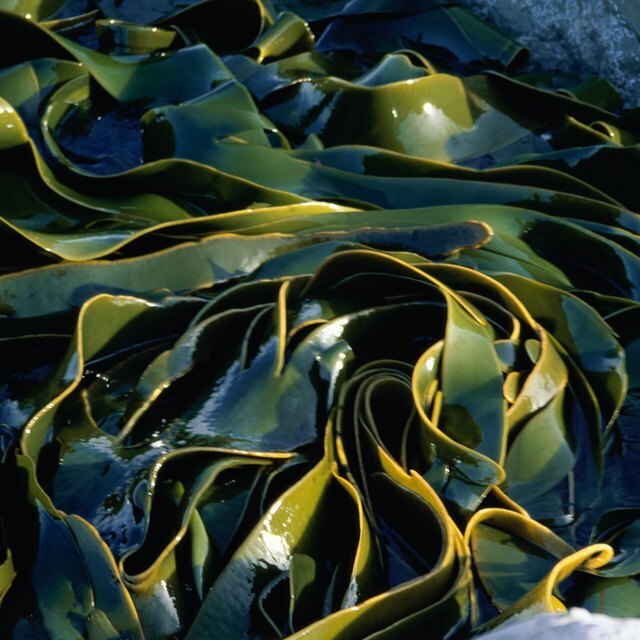 Also known as ficis vesiculosis, bladderwrack is a form of seaweed called kelp, which has been used as a medicinal curative for centuries. Because bladderwrack expands in water, it is able to attract toxins due to its negative attraction for positively charged wastes. In this regard, it is able to discharge impurities such as heavy metals from the body when placed in a detox bath. Bladderwrack is filled with trace minerals along with iodine, which helps to stimulate the thyroid gland and boost metabolic function. It is also helpful in treating cellulite, obesity and eczema; for rejuvenating the skin; and creating a more relaxed state of mind. Additionally, because of its calcium, magnesium, potassium, sodium, sulfur, silicon, iron, phosphorus, selenium, manganese, zinc and B complex content, bladderwrack helps to ease the symptoms of rheumatism and arthritis. The best way to use bladderwrack is to place a handful in a bag placed in the bath, turning the water brown as the minerals are released. Does Soy Milk Contain Isoflavones? How Does a Bath Bomb Work? Which Foods Help You Get Toxic Waste Out of the Body?